Gone are the days when getting cash for cars was difficult for the car owners. Thanks to the cash for cars Perth companies, it is easy now for the car owners to sell their cars for good cash in Perth. The individual buyers decline the cars that are not in good condition and they have all the valid reasons for that. However, the car removal Perth companies don’t decline the cars due to their condition, make or model. That’s a huge relief for the car owners who have old cars, junk cars, scrap cars, accidental cars sitting idle on their property. They are unable to sell it because either nobody is interested in their car or they don’t get the desired price for their car. The cash for car companies have offered a simple way for the car owners to remove their car from their property. The icing on the cake is that most of the cash for cars companies offer free car removal in Perth. 1. The car owners simply have to call the cash for cars Perth companies and give a description of their car. The car owners can get the price quote over the phone or they can schedule the car experts’ visit to their location for car evaluation. 2. Car experts visit the car owners at the scheduled time and evaluate the car for its best price. The car owners get paid on the spot for the car. The experts even help the car owners in preparing the vehicle for the removing process. 3. 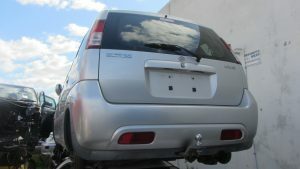 The car experts initiate the car removal process and take away the car from the owner’s property to the wrecking yard. The whole process just takes one day to complete. And, it is easy and quick for the car owners. It cannot get any simpler. So, if you have an old car that you want to sell, you should sell it to the one of the licensed cash for cars companies.